So you think you can easily install pipes and drains, fix leaking faucets, mend up broken water pipes and re-establish ruined water ways. Well, that is if you have the right equipment, enough manpower and have adequate skills to do such a job. 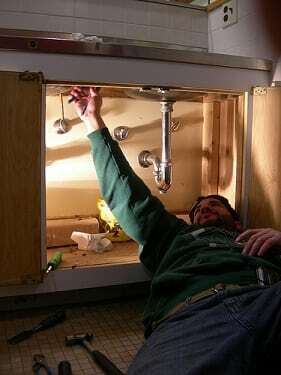 To some, this may seem easy if you have those factors but if you are dealing with a commercial and industrial plumbing system, you may need the help of commercial plumbers for that matter. A good reason to call for commercial plumbers is to ask help when checking for leaks. This may be easy if leaks are obvious but in instances where moulds and standing water within the premises of the building become an all too frequent scenario, you may be needing the help of commercial plumbers because doing this on your own is time consuming. This holds true when leaks occur under the slabs that support the structure. Always have in mind that a small leak can cause a lot of damage. This is not the only reason to be alarmed. This condition will also result to higher water bills. Any form of discoloration in your water supply would necessitate the need for trained plumbers as this may indicate corrosion inside the pipes. Rust may be present and this makes your water supply unsuitable for human use. Have in mind too that corrosions may mean a break in the continuity of pipes and this may be a possible portal for disease-causing microorganisms. A hot water system is very vital to perform some company procedures. A malfunction could mean deterioration in output because this may impede some industrial functions. With this concern, the need to call a commercial plumber is a must because a trouble in the system is very crucial to the company’s output. This case is not confined to companies as homes also experience this inevitable concern and frequently, this leads to the discomfort of dwellers. A drainage system and toilet flushing that are slower than usual may mean a clog in the pipes. It may mean a clog along the drain opening or it may be further down the pipe. As an aftermath, this may cause serious trouble to occupants. Not only that it is unsanitary but it may also cause flooding around the area. With this, a trained commercial plumber may come in to solve the trouble to save your home or company from more damage. The signs above explain that it is inevitable in many cases to call for help for your industrial plumbing needs. If you want to make sure that none of these problems will hamper your business operations always bear in mind that someone is out there ready to help.